This colorful, richly textured account of spiritual training and practice within an American Indian social network emphasizes narrative over analysis. Thomas Buckley's foregrounding of Yurok narratives creates one major level of dialogue in an innovative ethnography that features dialogue as its central theoretical trope. Buckley places himself in conversation with contemporary Yurok friends and elders, with written texts, and with twentieth-century anthropology as well. 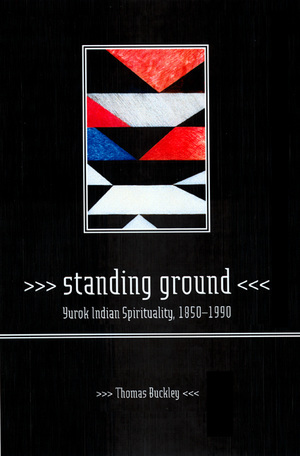 He describes Yurok Indian spirituality as "a significant field in which individual and society meet in dialogue—cooperating, resisting, negotiating, changing each other in manifold ways. 'Culture,' here, is not a thing but a process, an emergence through time." Thomas Buckley is an independent scholar and writer living in Maine. He previously taught anthropology and American Indian studies at the University of Massachusetts, Boston, and coedited Blood Magic: The Anthropology of Menstruation (California, 1988).